1. The ancient Romans and Greeks believed that diamonds were tears cried by the gods or splinters from falling stars, and Romans believed that Cupid’s arrows were tipped with diamonds (perhaps the earliest association between diamonds and romantic love). 2. 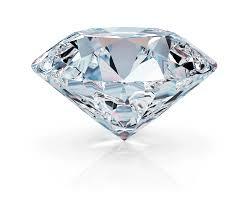 Diamonds are billions of years old in some cases more than three billion years old. 3. Diamonds form about 100 miles below ground and have been carried to the earth’s surface by deep volcanic eruptions. 4. 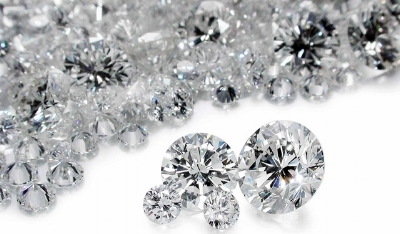 Diamonds are made of a single element—they’re nearly 100% carbon. Under the immense heat and pressure far below the earth’s surface, the carbon atoms bond in a unique way that results in diamonds’ beautiful and rare crystalline structure. 5. Diamonds are the very hardest natural substance. The only thing that can scratch a diamond is another diamond. 7. Ancient Hindus used diamonds in the eyes of devotional statues, and believed that a diamond could protect its wearer from danger. 8. Many ancient cultures believed that diamonds gave the wearer strength and courage during battle, and some kings wore diamonds on their armor as they rode into battle. 9. During the Middle Ages diamonds were thought to have healing properties able to cure ailments ranging from fatigue to mental illness. 10. The countries that are the main sources of diamonds have changed over time. India was the world’s original source of diamonds, beginning in the 1400s when Indian diamonds began to be sold in Venice and other European trade centers. Then in the 1700s India’s diamond supplies declined and Brazil became the world’s major source of diamonds, until the late 1800s when a huge diamond reserve was discovered in South Africa. Today, diamonds are mined in many parts of the world. Diamond studs are a go to accessory and an essential item to a well appointed jewelry box. They’re a versatile and purely elegant choice, akin to the little black dress, equally appropriate worn day or night at the office or a fancy evening out. While typically set with round diamonds, fancy shape stud earrings Asscher, princess, cushion, oval, and pear are a distinctive and fresh take on this classic style. The diamond is the traditional birthstone of April and holds significant meaning for those born in that month, thought to provide the wearer with better relationships and an increase in inner strength. Wearing diamonds is purported to bring other benefits such as balance, clarity and abundance. Celebrate her Birthday with a pair of Diamond Studs. Celebrating an April birthday or a 60th or 75th wedding anniversary, giving a diamond means giving a perfectly beautiful gift that will truly stand the test of time. Diamond Necklaces are a nice personal touch for gift giving. It is easy to pick a beautiful pendant that can complement any chain. There are lots of new styles to choose from in many different shapes, round, square, heart or key shaped just to name a few. Pendants are a great choice as they can be worn day or night and will be evergreen through the years. Diamond Bands are an exceptional way to celebrate a landmark birthday. Choose one with micropave diamonds for a polished and dainty look. An eternity band can truly make a statement with sparkle all around. Bands are available in a variety of metals like platinum, rose, yellow and white gold making for a versatile gift perfect for anyone. 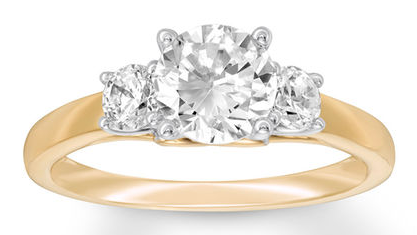 This spring our engagement ring buyers are all about metal options. Whether you’re into on trend rose gold, warm and glowing yellow gold, or sleek white gold or platinum, you have all of those options! Once you’ve landed on the style of engagement ring you’re interested in purchasing, the next decision you’ll make is what metal is right for said ring. Rose gold is yellow gold with copper alloy to give a pink tint to the metal. Copper adds strength and tends to be less expensive, which tends to keep the price of rose gold down as well. This hue of gold is considered a modern classic, as it has recently come back into vogue. Rose gold is perfect for someone who appreciates things that are fresh and on trend. How Do I Decide Between 14K and 18K Gold? K refers to karat or the purity of gold. 24k is pure gold, but can be very malleable and bends easily. It’s not really suitable for fine jewelry. 18K gold is 75 percent gold with 25 percent alloy for strength and color and 14K gold is 58.3 percent gold with 41.7 percent alloy. 18K gold is more expensive because it contains more gold. Since gold is a relatively soft metal, greater alloy content can add strength and increase hardness which helps resist scratching. Also, the higher the gold content, the warmer and richer the gold tone will be. This is more noticeable in yellow and rose gold. The white rhodium coating typically found on white gold makes this difference a little harder to detect. 18K white gold will be warmer in color than 14K white gold. How will you make it special enough? This is a ring that she will be wearing for the rest of her life, and you'll want to put a lot of thought into finding the perfect ring for her. Now more than ever, people are really looking for something unique for that special woman in their lives - something that no one else has. 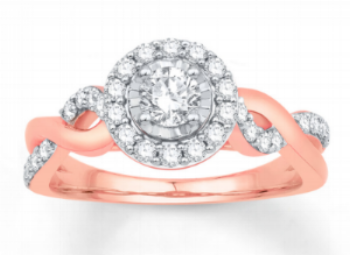 But, one thing that is often overlooked in the quest to find that special ring is the possibility of custom designing a ring. Custom engagement rings are becoming incredibly popular. It allows you to have the power to bring an idea to life and create something that is so unique and special. Custom designing an engagement ring is a great way to create a ring from scratch that no one else will have. It'll forever be a one-of-a-kind ring that she can pass down for generations. Which Ring will sparkle the most! There's no denying that many women want the most sparkly engagement ring they can get their hands on. Do you want to buy her a diamond that is big but doesn't reflect very much light. Or, do you want to get her a diamond that'll be so sparkly that it can catch the attention of someone across the room? The best way to achieve a sparkly ring that'll blind people with its brilliance is to pay close attention to the shape of the diamond and how it is cut. 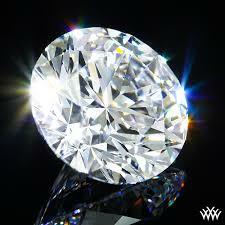 There are a lot of different ways a diamond can be cut and all shapes are not equal in terms of brilliance. There is a reason that the round brilliant diamond is still the number one seller. If you want to make sure her ring attracts the attention of everyone around her for years to come, even past the shiny new state it's in when it leaves the store. How does a diamond's shape affect its brilliance or sparkle? When light shines on a diamond, it's reflected off of the diamond's surfaces, known as facets, before reflecting back out in the form of brilliance, or sparkle. Each diamond cut has a unique facet pattern which give the shapes their unique identities. Since the light has to bounce off of the facets before exiting the stone, these different facet patterns give each shape a unique brilliance as well. It's important to know that although each diamond shape has a unique brilliance associated with it, the brilliance of an individual stone is also determined by the quality of the cut. The cut is based on how accurate the diamond's proportions are in comparison to the ideal measurements for a given diamond cut and it can severely alter the brilliance of a diamond. So, just because the round brilliant diamond is the most brilliant doesn't mean all round brilliant diamonds will always shine bright. 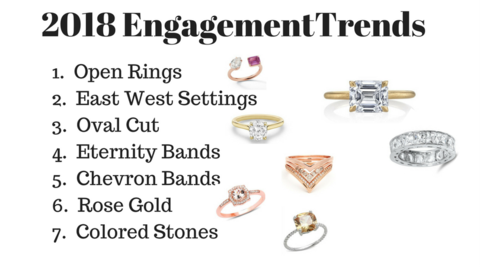 The round stone must still be cut well in order to earn the top spot on this list. If you’ve researched diamonds and engagement rings online, you’ve probably come across the the four Cs of Diamonds. Cut, Clarity, Color, and Carat. They play a major role in grading any loose diamond. The slightest change in any of the Four Cs can end up having a huge impact price. That being said, few people actually understand how to prioritize the Four Cs when searching the perfect ring for their. Understanding how a diamond's cut and clarity affects the appearance and price of a diamond is essential for anyone buying a diamond engagement ring. Find out which of these two Cs is most important and how each will effect your search. Like most natural things, a diamond isn’t perfect. Clarity is a direct measure of the number of inherent imperfections the diamond has. These flaws can be things such as dark spots, feathery cracks, or white points in the diamond. To some people having as few imperfections as possible is important' however it’s important to note that unless you reach an SI2 or lower, it is extremely unlikely the naked eye will be able to see any flaws. A diamond doesn’t have to be flawless to be beautiful. Because the flaws aren’t visible to the naked eye, many shoppers find it well worth it to sacrifice clarity grade for what it affords in other categories. The cut of a diamond refers to the proportions, symmetry, and polish of the loose stone. The cut of any diamond has three attributes: brilliance, fire, and scintillation. 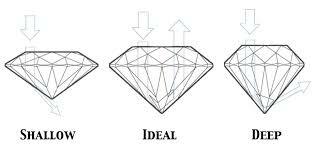 All of the factors determine how beautiful a diamond is. The beauty of a diamond depends more on cut than any other factor. A well cut diamond acts as a prism, splitting white light into a brilliant rainbow of colors. Ideally all diamond cutters would be focused on enhancing the light performance of loose diamonds; however, since some customers will pay more for a larger diamond, there is pressure to sacrifice beauty for weight. A poorly cut diamond will seem dull even with excellent color and clarity. At the end of the day, your fiance won't be bragging about her “1-ct. E VS1” diamond. 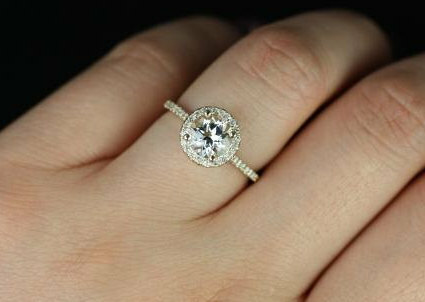 She'll be telling her friends to look at her "beautiful sparkly diamond ring," and that’s ultimately what matters most.